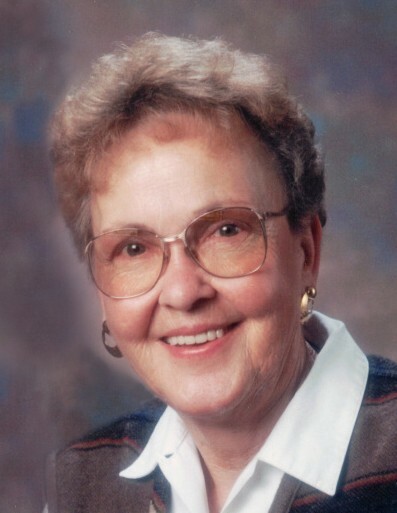 Shirley Ann Gordon Stephenson died on January 8, 2019, at her daughter’s home in Boise County, Idaho. Born to Acle and Helen Gordon at St. Luke's Hospital on Friday the 13th, September 1935, Shirley often joked that she was born unlucky, However, she made up for any lack of luck with hard work, persistence, determination, and a wry sense of humor. During her early childhood, the Gordon family followed her father's work to remote Quartzburg and Deadwood before settling in Horseshoe Bend. For her first paying job at the age of 14, she cooked meals on a wood stove for summer haying crews at the Dobson ranch on Schafer Creek. Shirley continued working while also going to high school. In 1954, Kenneth Stephenson proposed, they married, and moved to Livingston, Montana for the next six years where they started their family together before returning to the place they both called home, Horseshoe Bend. Shirley found her purpose and joy in life as a devoted mother to four children. Providing a loving and nurturing home was her top priority. Despite being busy with cooking, cleaning and sewing, she also made time to play with her children. She could be counted on to build a fort under the dining room table on a rainy afternoon, join a tea party, or lead a trip to the swimming hole. After her kids were grown, Shirley challenged herself to complete her general education degree at the age of 42. This accomplishment led to working as a teacher’s aide at the elementary school for the next twenty years where her ingenuity, patience, and humor were invaluable resources in the classroom. Her love for all children shone through in the stories she shared about those breakthrough moments when a student learned to read. This important work brought her great satisfaction. An exceptional seamstress, Shirley was never intimidated by a sewing challenge, and she was ready to take on any project from wedding gowns to doll making. Her hands were always busy with knitting and cross stitching, but her true gift was quilting. Her hand-stitched quilts are treasured keepsakes for family members. And if cleanliness is next to godliness, we know where she is right now. She was an immaculate housekeeper. Shirley leaves behind her children, David, Sharon and Peggy, her sisters, Dorothy and Alta, and brothers, Kenneth and Dale. Her legacy lives on in seven grandchildren and seven great grandchildren. She was preceded in death by her parents, three brothers, her husband Kenneth, and her daughter Cathy. In Shirley’s memory, please take time to play joyfully with your children and grandchildren, admire all babies with heartfelt appreciation, marvel at the color of new spring grass on the hills after a long winter, enjoy quiet time around a campfire with friends and family, watch a summer thunderstorm with rapt attention from beginning to end, make something beautiful and lasting with your hands, wipe your feet before you walk in the house, and remember the enduring love of motherhood, lifelong and beyond. We were lucky to have her in our lives. A memorial service will be planned in the spring to celebrate her life. The family would like to thank the staff at Doctor’s Hospice of Idaho for the kind and compassionate care provided during the last few months. In lieu of flowers, please consider a memorial contribution to the Grace Lutheran Church in Horseshoe Bend.